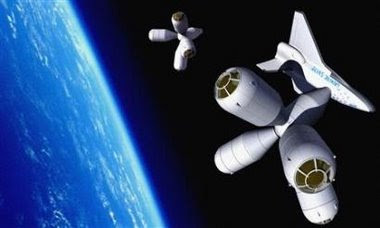 The construction of the galaxy most expensive hotel, Galactic Suite, the 1st hotel planned in space will be ready by 2012 and would allow guests to travel around the world in 80 minutes. 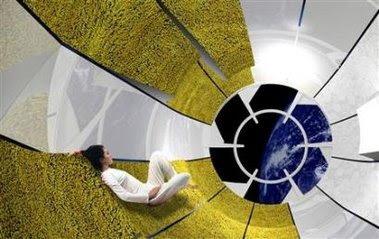 Guests would see the sun rise 15 times a day and use Velcro suits to crawl around their pod rooms by sticking themselves to the walls like Spiderman. The price for 3 nights stay is $4 million. The price included not only three nights in space. Guests will also get an eight weeks of intensive training at a James Bond-style space camp on a tropical island. Anybody has extra $4 million to spare? ?